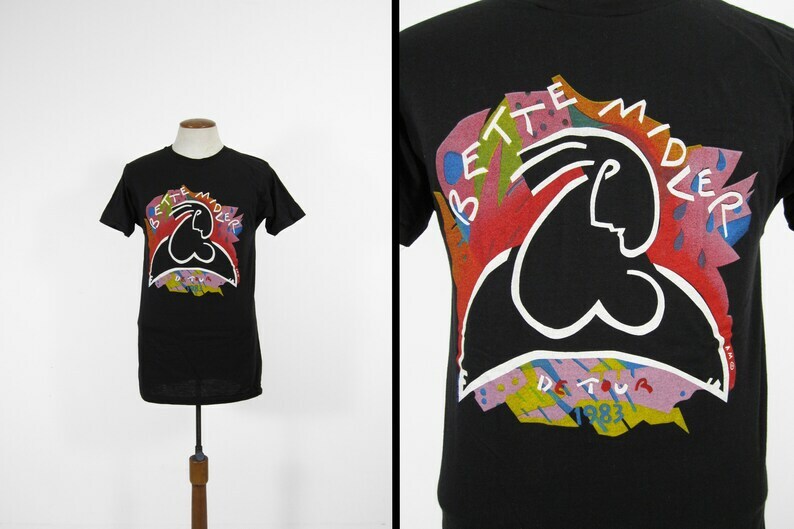 This soft, stretchy tee was printed in 1982 for Bette Midler's 1983 tour. It's in excellent condition and appears to have never been worn. Made in USA.